Cray arrived as League Champions and looked the part throughout the afternoon, but Bridges proved to be stubborn opponents and were unfortunate not to grab at least a consolation goal. 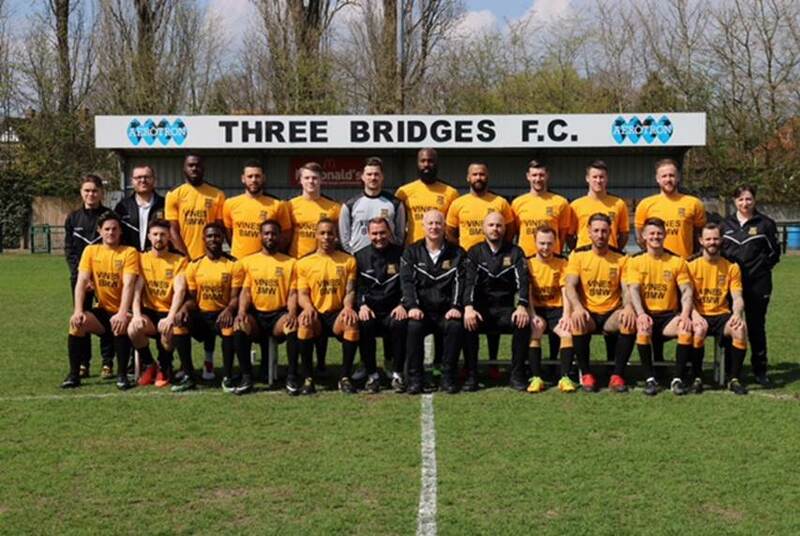 Ibby Akanbi volleyed wide of the near post inside the first minute as Bridges showed that they weren't there just to make the numbers up, and he was close again soon after after the lively Andrew Sesay had a shot blocked. James Shaw was called into action with a good tip over from the excellent Cray captain Barney Williams, whilst a solid drive by Archie Johnson was also cleared to safety. A great interception prevented Dean Gunner from capitalising on a delightful through ball by Akanbi, but just as the homesters were thinking they would at least go into the break on level terms, the visitors struck as a great run by Joseph Taylor finished with a shot that FREDDIE PARKER helped over the line. Reece Hallard fired over following a good run on the left by Sesay seven minutes into the second half, and instead of being on level terms Bridges found themselves two behind just four minutes later as more good work by Williams saw the ball reach TAYLOR, whose finish from twelve yards was clinical. Bridges, who lost Gunner to injury, refused to lie down and Akanbi struck a post. Shaw made a good tip over from Johnson, whilst Antone Douglas was unlucky to see his goalbound effort from close range strike Connor French! Cray keeper Nick Blue made an excellent block to deny Sesay after another incisive ball from Akanbi, and substitute John Lansdale tested Blue with a free kick. And in the last seconds, Blue parried a free kick from Brannon O'Neill before holding on to the follow up from French. Bridges were far from disgraced, but Cray showed why they were Champions with a lot of good inter passing play.